Traumfänger. 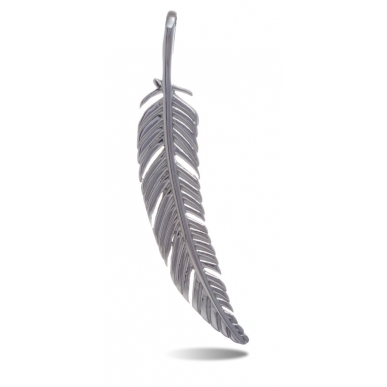 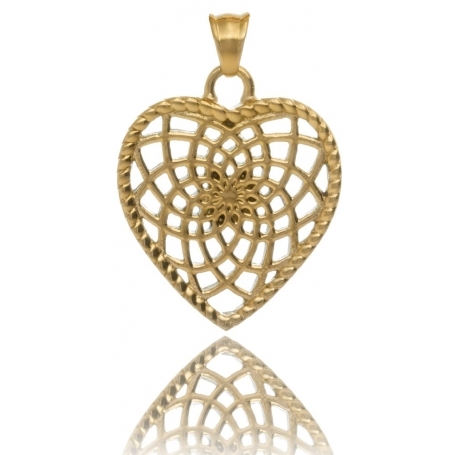 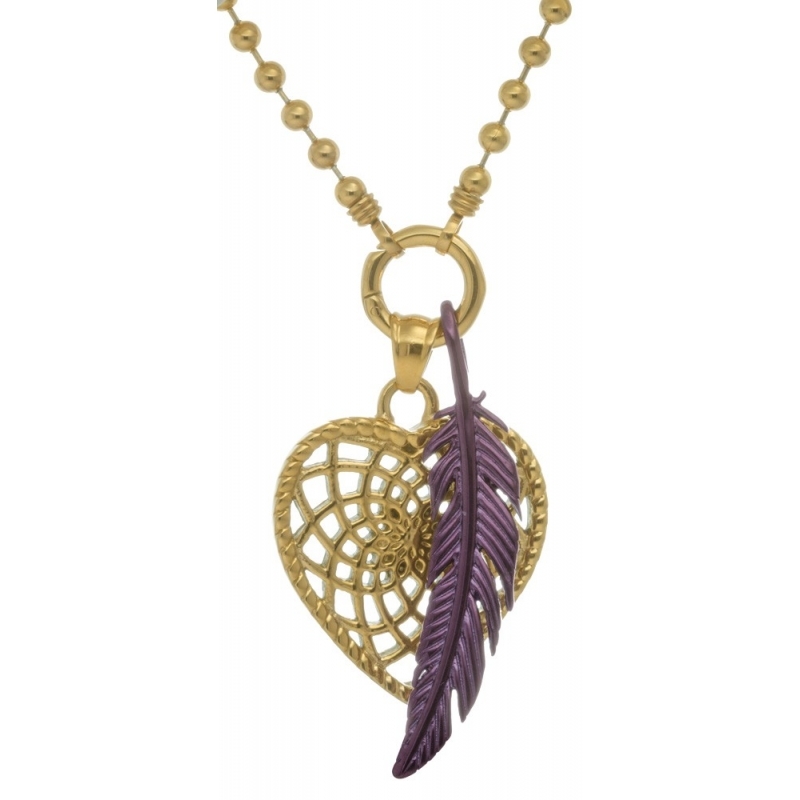 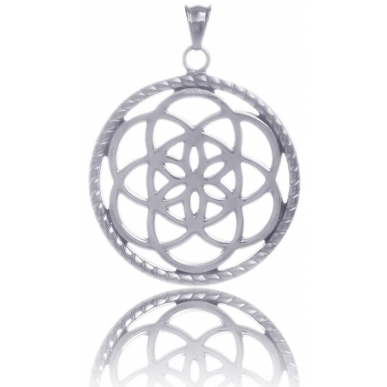 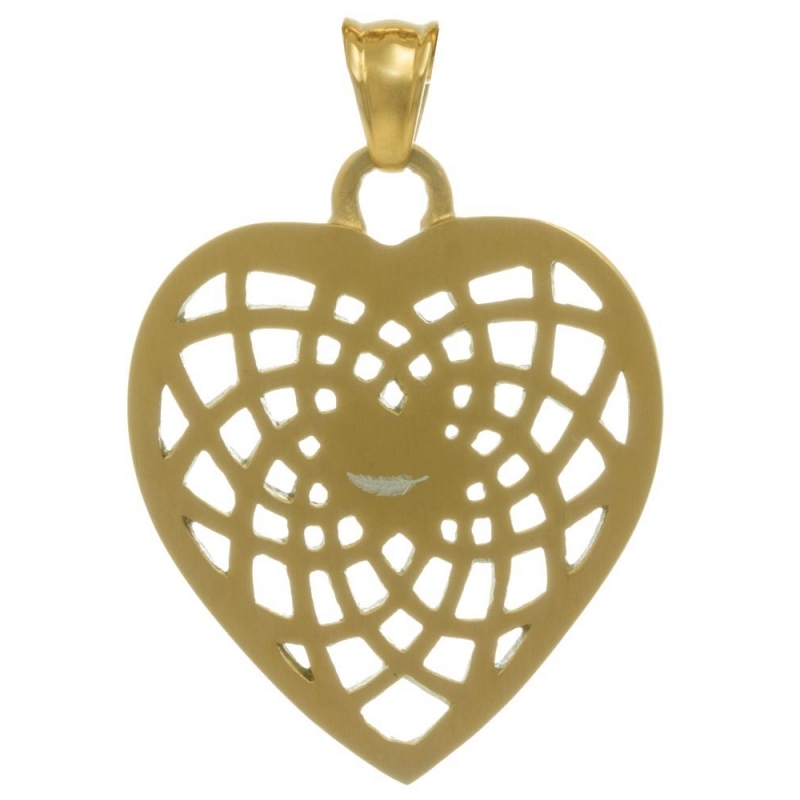 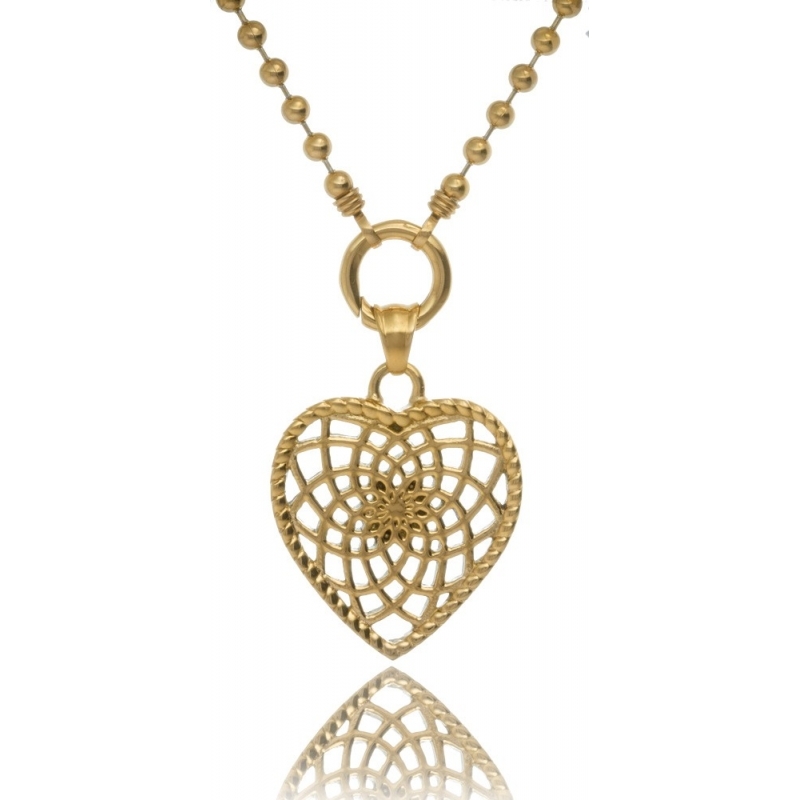 Stainless steel pendant yellow gold plated openworked heart-shaped dreamcatcher. 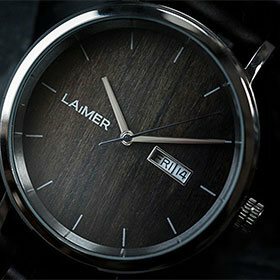 Ø35mm. 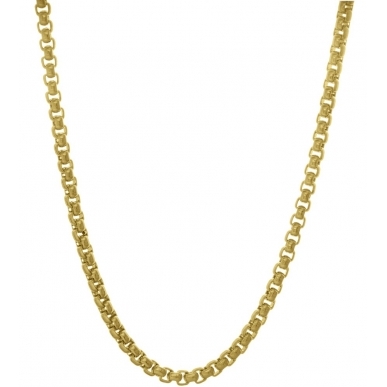 Yellow plated by a specific ionization process.